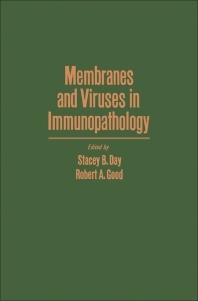 Membranes and Viruses in Immunopathology covers the proceedings of the 1972 symposium by the same title, held at the University of Minnesota Medical School, sponsored by the Bell Museum of Pathology. This book is composed of 40 chapters that highlight the significant advances in fundamental experiments of membrane structure chemistry. Considerable chapters explore the diagnosis and analysis of slow and oncogenic virus infections, as well as the role of immunobiologic processes in the pathogenesis, prevention, and treatment of disease. The remaining chapters contain research works on the detailed mechanisms that may contribute to cancer induction and dissemination. This book will prove useful to immunopathologists and practicing physicians.